I've just done my second visit to my BBS square on the Gloucestershire / Worcestershire border near Broadway. 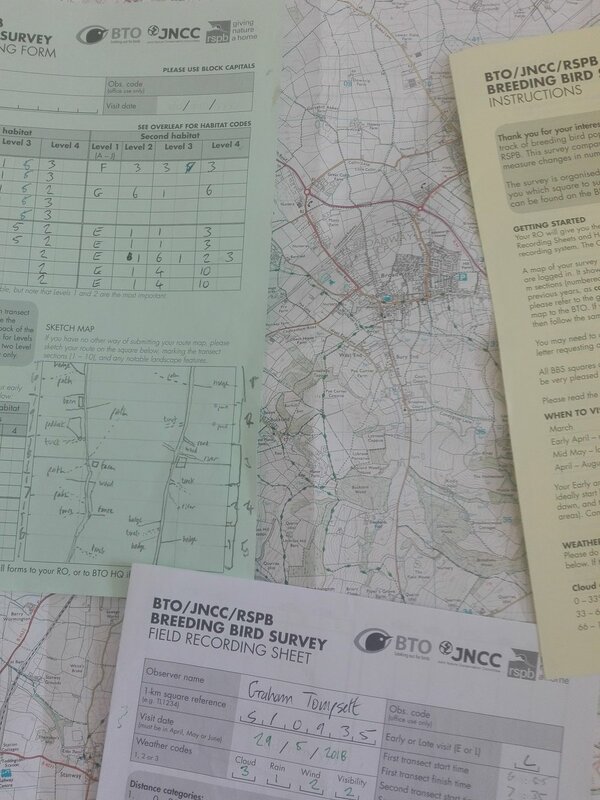 This British Trust for Ornithology (BTO) survey counts breeding birds, with two visits in April and June to log the birds encountered along two transects running through an assigned 1 km square. The BBS itself is great to be part of: it's been running annually since 1994 and the data enables a detailed analysis of population trends for over 100 UK breeding birds. This provides massively valuable input to discussions about the impact of changing climate and land-use on the nation's wildlife for the Government and organisations like RSPB. I'm lucky with my square that it's very scenic and has plenty of wildlife, so as well as feeling like a worthy citizen I get to enjoy some good birding.